Ramey Caulkins is an interior designer with over 20 years of experience in the Industry. She developed a passion for architectural materials while spending 8 years at Ann Sacks Tile & Stone and The Kohler Company. Hailing from Buffalo, NY Ramey was exposed to beautiful homes and some of the Country’s most important architectural contributions. In 2003, Ramey started her own interior design firm, Griffin Design Source. Her extensive knowledge of architectural elements, custom furnishings and finishes, and a curiosity with how things are made has elevated how she feels about design and how homes should live. Ramey’s work is primarily based in Denver, CO but has also taken her to New York, Mid-Coast Maine and Nantucket, MA. 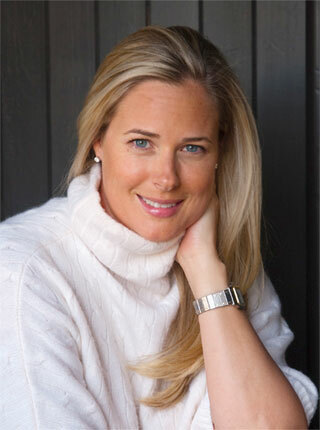 Her work has been featured in Architectural Digest, Coastal Living, Luxe Magazine and HGTV Magazine among others. She is well known for her excellent resources, an impromptu lunch and the best chocolate chip cookies.